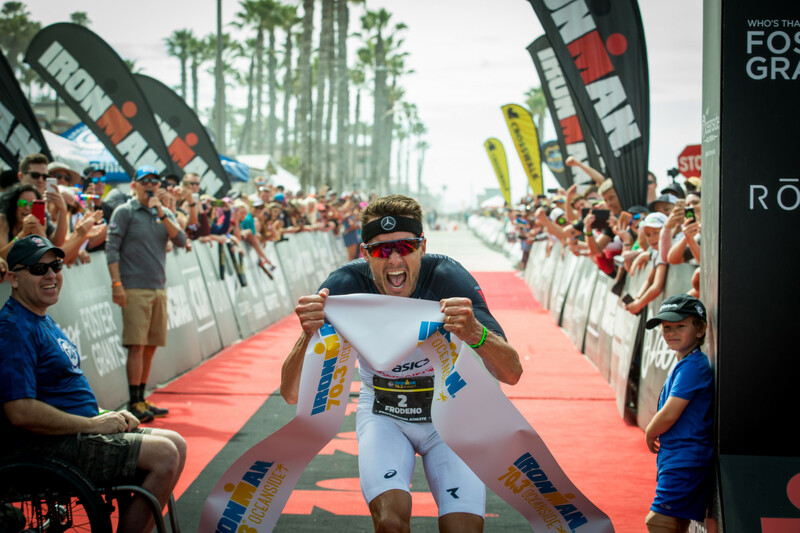 OCEANSIDE — The annual Ironman 70.3 Oceanside drew top athletes from around the world to compete April 7. 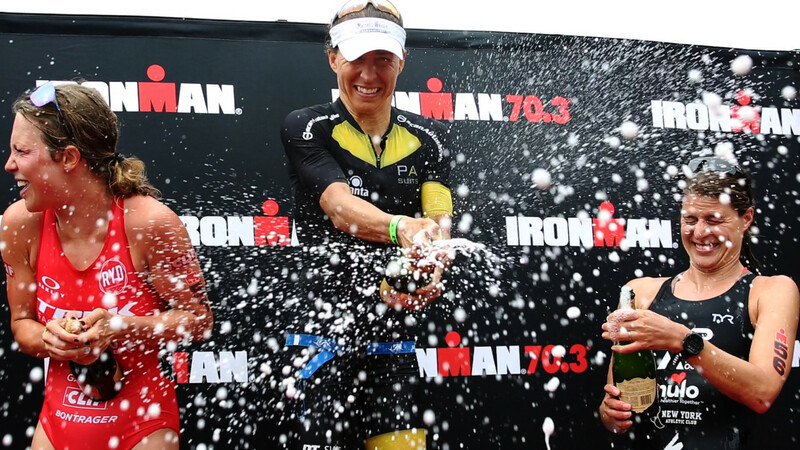 This year, it was Germany’s Jan Frodeno and Anne Haug who took first place for the men and women respectively, finishing minutes ahead of competitors. Weather and course conditions were favorable for the 1.2-mile swim, 56-mile bike ride and 12.1-mile run through Oceanside, Camp Pendleton and back. The race drew 80 elite athletes and more than 3,500 age group competitors. Frodeno, 37, took this year’s title completing the race in 3 hours, 45 minutes, 5 seconds. Breaking his own 2015 record by over two minutes, Frodeno grabbed the finish banner and held it up to cameras. Frodeno had a swim time of 22:20, bike time of 2:08:21 and a run time of 1:10:5. Following the race, Frodeno said he wanted to put some needed pressure on himself, and entered the race to compete against rival Lionel Sanders. Frodeno was strong from the start of the competition. He was the first one out of the water and maintained his lead with best times in each leg of the race. His swim and bike times were less than a minutes ahead of Sanders, 30, of Canada, who won the race last year and came in second this year at 3:48:58. Where Frodeno really took the lead was in the final 12.1-mile run, which he finished more than three minutes faster than his second-place rival. A bigger finish gap was seen between the top two finishers and third-place winner Tim Reed, 33, of Australia. Reed, who won the Ironman 70.3 Oceanside in 2016, came in more than eight minutes behind Frodeno and more than four minutes behind Sanders. The finish gap was just as wide for top women racers. Haug, 35, took first place with a 4:12:03 finish time. She was more than four minutes faster than Holly Lawrence, 28, of Great Britain, who won last year and took second place this year. Haug had a slow start coming out of the water, which put her more than two minutes behind both Lawrence and third-place finisher Sarah True, 37, of New Hampshire. Haug fought back and picked up speed on bike, setting a race best of 2:24:14. She beat out bike times of Lawrence by more than a minute, and True by more than eight minutes. She clinched the win on the final leg of the race, completing the run in 1:16:23. Her run time was more than six minutes faster than Lawrence, and more than three minutes faster than True. 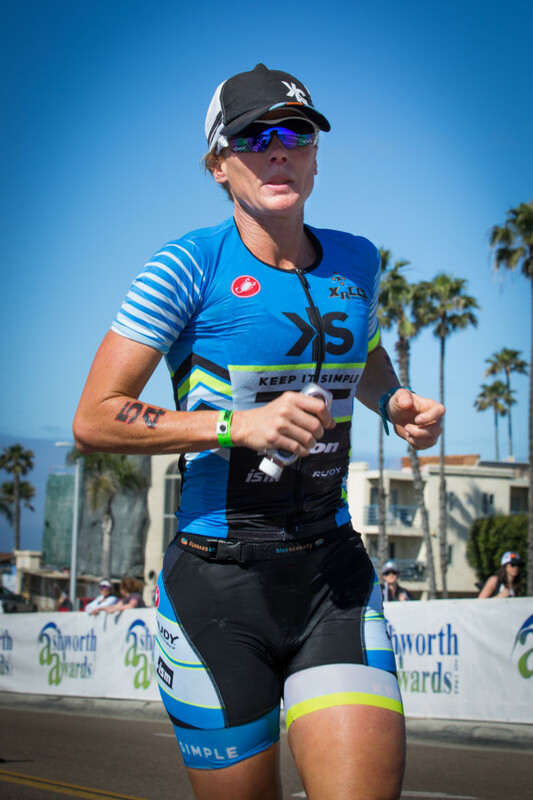 Following the race, Haug said she felt frozen after the 58-degree open water swim, and her legs did not warm up through the 56-mile bike race. She added working really hard got her across the finish line first. On the awards podium Haug doused herself, Lawrence and True with shaken and bubbling over champagne, and took her title as the new queen of the half marathon.